I’m kind of enjoying the slow entry into spring. I have been craving the idea of not wearing tights and definitely walking outside with one less layer on. I’m at the point where my neck aches from the scarves and I’m getting bit of cabin fever being cooped up reading books, watching films or endlessly reorganizing my jumper drawer. That last paragraph has you a bit confused a fooled, does it? I kind of love watching London move into spring. Literally. When I was at St. Andrews for graduate school, I remember that autumn season surpassing me so quickly that I was stuck in winter all of a sudden. And winter, in Scotland, stays for much too long. The window in my kitchen overlooks a community garden. There is a vast green space that shares a shed, playhouse, herb patch and garden. There is a line of trees and I love the idea of each branch ever so gently finding a space for a new blossom. Those transitioning moments are one to cherish most. 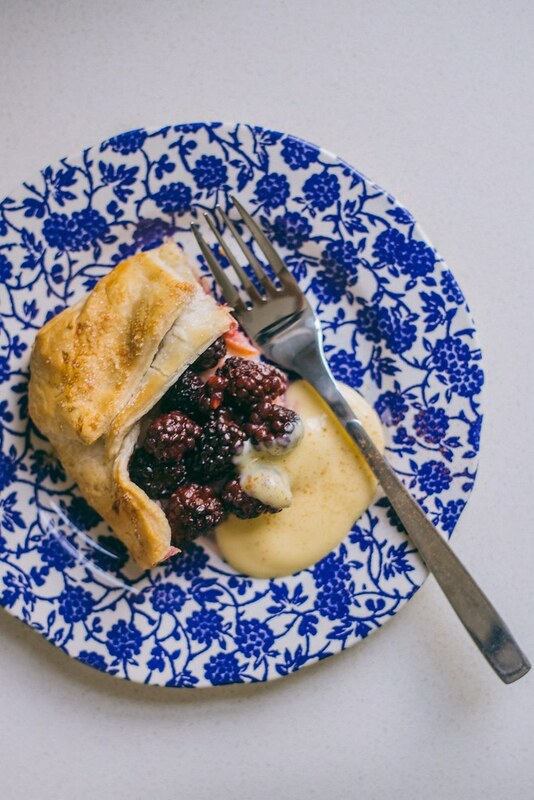 A blackberry & apple galette is worthy of celebration. Preheat the oven to 200C and prepare a baking tray. Take a semi defrosted puff pastry and roll it into a rectangle so it’s about a quarter inch thick. 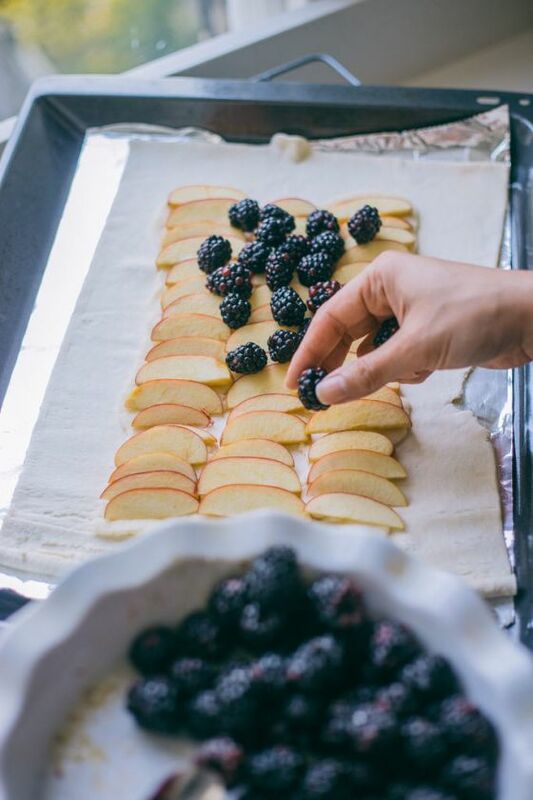 Roll out and place the marzipan on the center of the puff pastry so there is a 1 inch crust all the way around the end. In a mixing bowl, mix the apple slices with half the all purpose flour mixed in. Evenly arrange the apple slices on top of hte marzipan. Then in the same mixing bowl mix the blackberries with the flour. 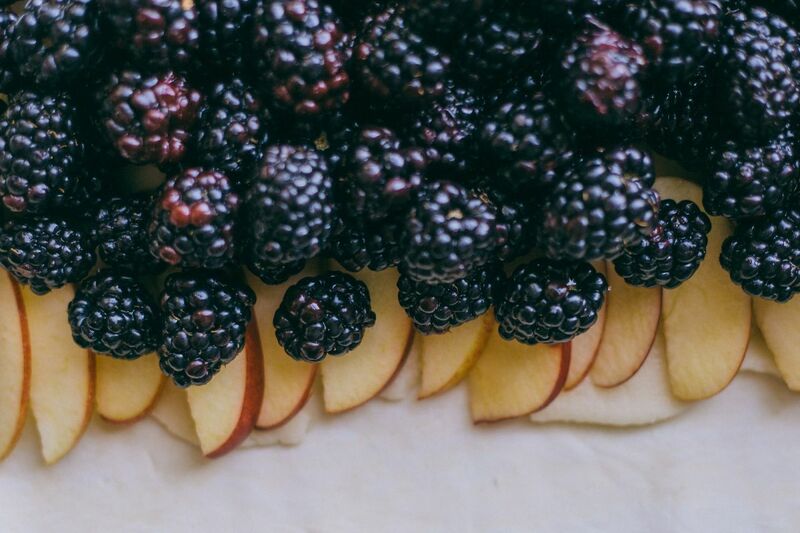 Arrange the blackberries on top of the apple slices. 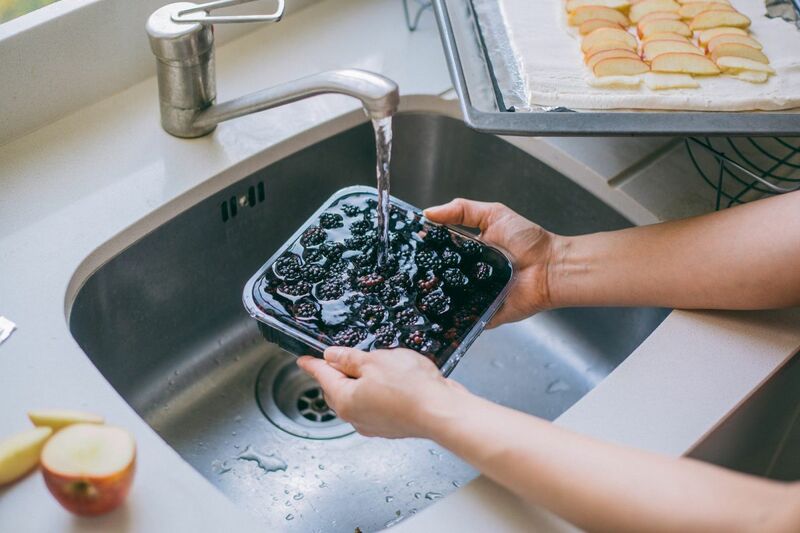 The flour will prevent too much water from coming out of the fruit and softening the crust. Fold the puff pastry crust over so it slightly covers to the apples. Brush with milk and sprinkle with some sugar. Bake for about 20-25 minutes or until the crust is cooked through. Then broil for an additional 2 minutes to brown a bit of the crust. 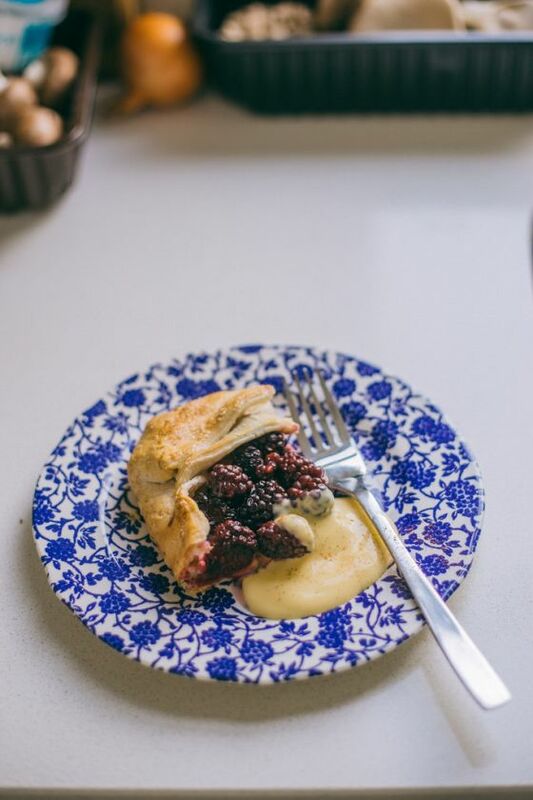 Serve with warm custard and a sprinkle of cinnamon.